A sumptuous summer read starring three inspiring women from three vibrant eras. France 1919: Jessie is celebrating the last heady days of her honeymoon. But when her husband suddenly disappears she finds herself bereft. Until a chance encounter thrusts her into the centre of the intoxicating world of Parisian high life. Hollywood 1945: Lisa has come a long way from her quiet, unassuming life in London and is taking Hollywood by storm. But all that glitters is not gold, and as the smoke and mirrors of the lifestyle she so longed for shatter around her there are some secrets she can never escape. An evocative story of survival, betrayal and the invincibility of love. “A wonderful book. 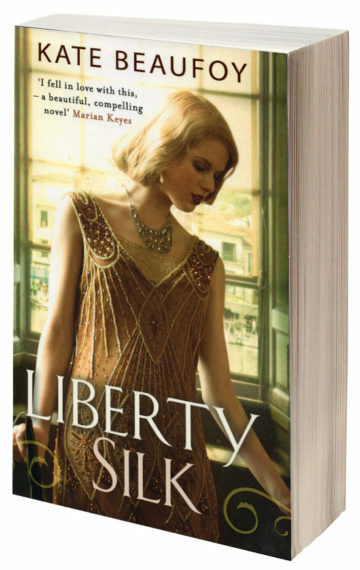 I felt immersed in the world of ‘Liberty Silk’. It’s magic, fresh, and different.” – Sue Leonard, Irish Examiner.